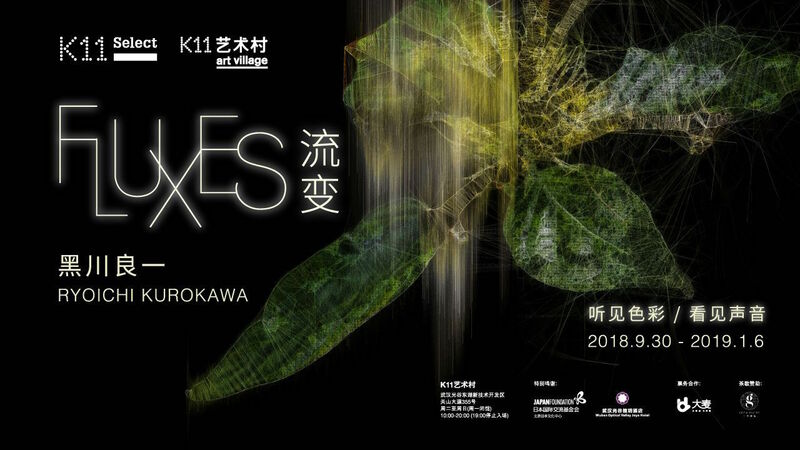 From 30th September until 6th January 2019, Fluxes, a solo exhibition by Ryoichi Kurokawa will take place at K11 Art Village in Wuhan, China. 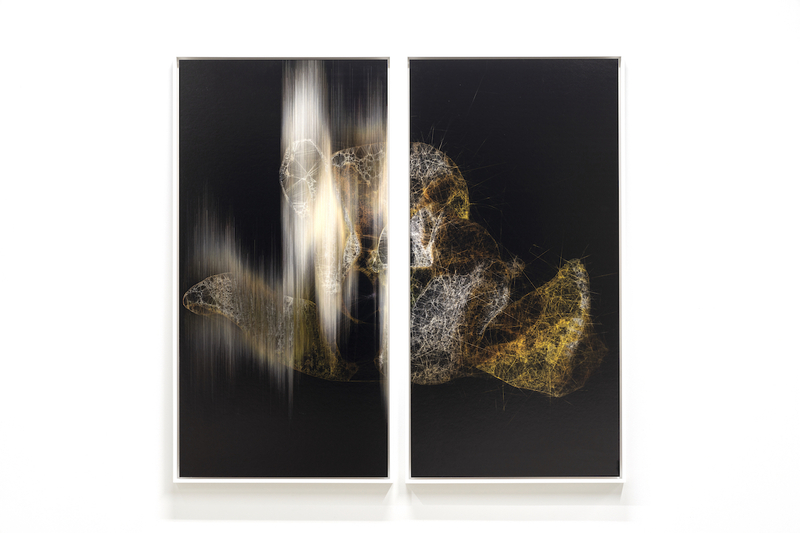 Fluxes focuses on the physical aspects of flux as well as the endless passing and change of time and space. The exhibition features three works titled ‘Ittrans_ctx’, ‘Octfalls’, and ‘rheo:5 horizons’, all of which specifically examine the stream, flow and current or the characteristic of flux. Kurokawa’s works are all based around a principle inspiration: nature. For the pieces displayed in this exhibition, he uses nature to translate spatial transition and audiovisual motion as dynamic fluid. Inspired also by Greek philosopher, Heraclitus’s concept of panta rhei (“everything flows”), Kurokawa chooses to use digital processing of natural scenes, and continually evolving soundscapes, to convey a dynamic and thoughtful experience. ‘Ittrans_ctx’ is a silent diptych video installation motivated by laminar-turbulent transition. 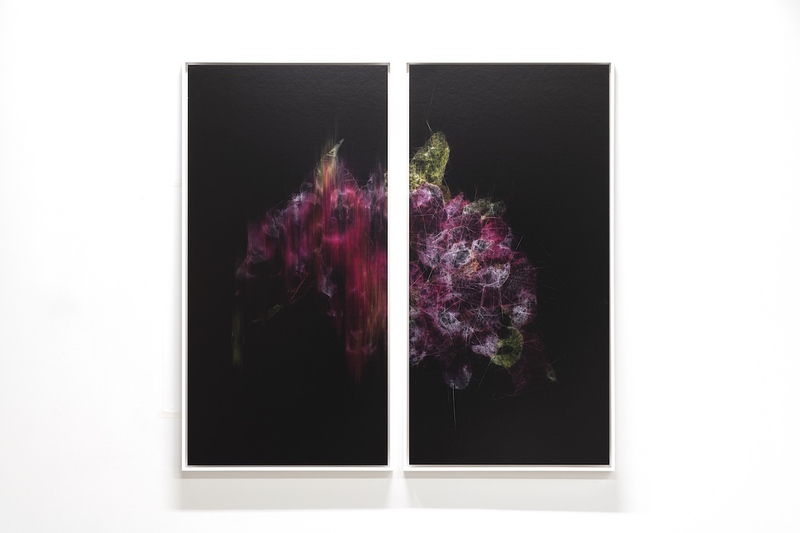 With a focus on natural plant life, the piece attempts to understand new patterns in the flux of matter. Developed from a series of prints titled ‘Ittans’, this new piece adds animation and in doing so presents a contrast by parallely displaying each non transitional motion respectively. ‘Octfalls’ is an immersive and tactil work created by rebuilding a physical water stream. The installation is based on the concept of the relationship between order and disorder, entropy and negentropy. This work is an arrangement of natural energy and simplifies the natural mechanism of order and disorder. ‘Rheo: 5 horizons’ is an multi-channel audiovisual installation. This work translates temporary and spatial transition to audiovisual motion as dynamic fluid. It represents the notion of fluid time by using audiovisual composition in space. By synthesizing a moving image, the spatial cognition of the sound can be enhanced. It provides space to rediscover the sonic movement, position, and the connection between ego and sound. Talking about his inspirations in his own words, Ryoichi Kurokawa explains “All my works lie in this notion of hybridization. Between analog and digital, but also between time and space, the full and the fragmentary, the simple and the complex, the reactive and the contemplative, the auditory and visual,”. Kurokawa’s pieces are designed to directly evoke feelings through the stimulation of our senses and should not require analysis or study from the audience.